Although we briefly visited Kyoto – and swung through Osaka for lunch – most of our week in Japan was spent in the big smoke of Tokyo. Spoiler: I LOVE it. (I feel this way about most global cities, to be fair.) Here are a few things that stood out. 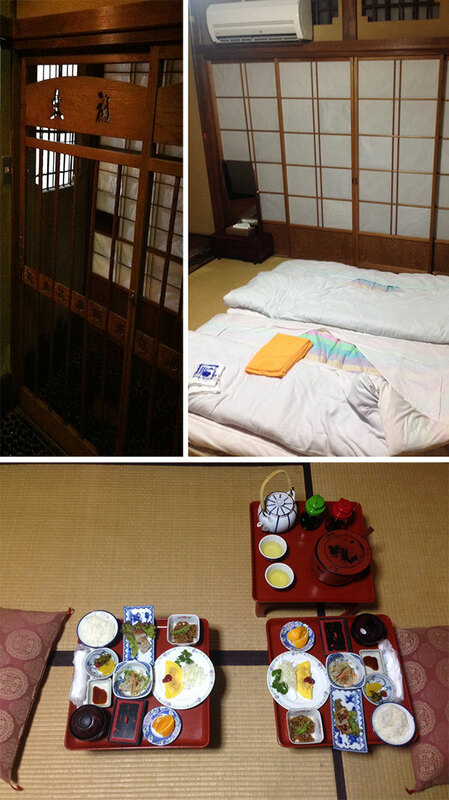 The whole guesthouse experience is just so unique, from the sliding doors to the tatami mats and the baths. It was an incredible introduction to Japan. Also: Sleeping on the floor is amazingly comfortable. Need I say more?! Didn’t think so. Everything is SO cheap compared to home. 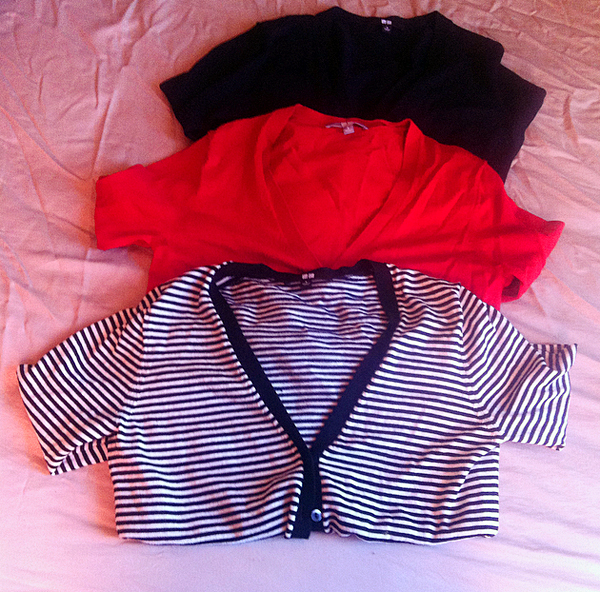 I’m madly in love with the merino cardigans I got at Uniqlo for practically nothing. Also, as an Asian person, shopping in an Asian country makes so much difference, be it bras for the flat-chested or glasses for the flat-faced (you know how the plastic frames that are hot right now have only tiny inbuilt nubs designed to perch on high nose bridges, rather than traditional nose pads?! I found some with extra-big ridges). Every city needs green spaces, and Tokyo does them well. 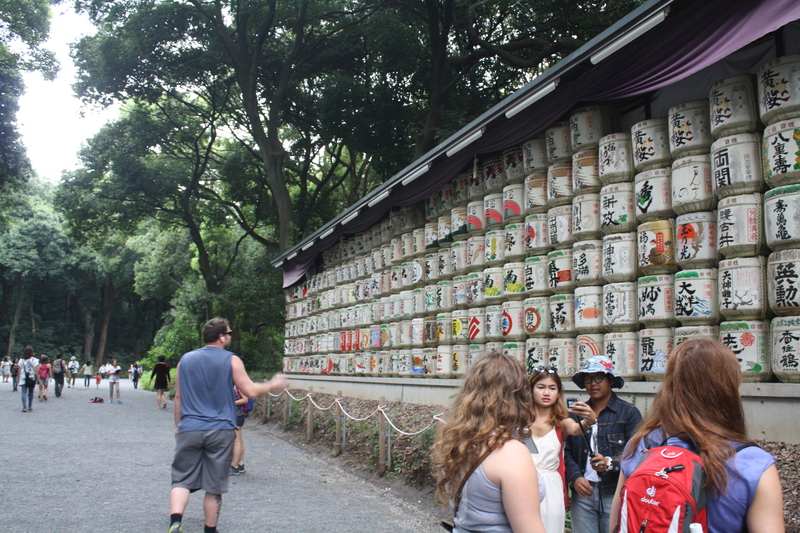 Ueno Park brought to mind San Diego’s Balboa Park, crammed with attractions (a highlight were the turtles in a pond!) and at Meiji Shrine, we saw an elaborately dressed bride getting wedding photos taken. 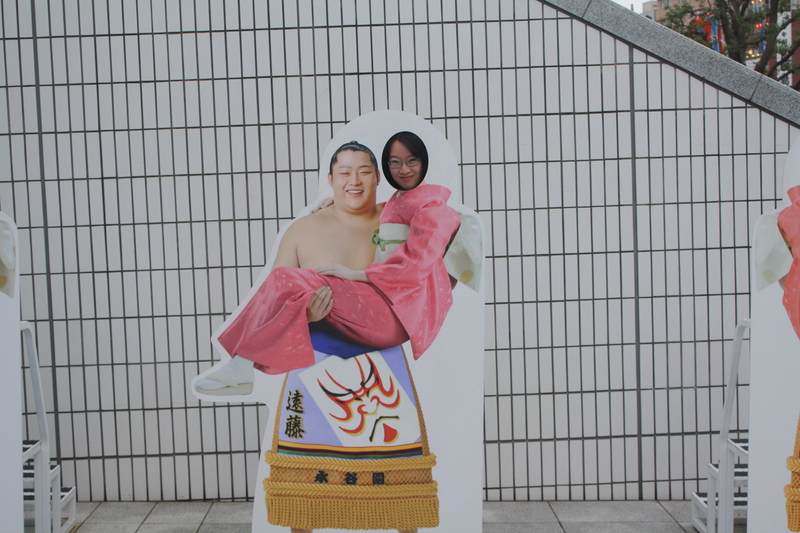 As it turns out, we were in town for the very start of the autumn sumo tournament. 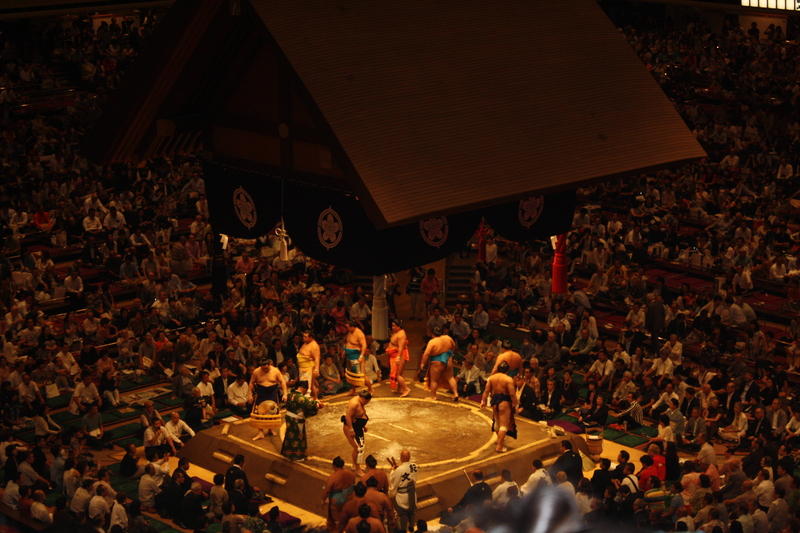 I wasn’t sold on the idea of shelling out for sumo tickets (and didn’t want to gamble on queuing up on the morning of the match) but it turned out to be the highlight of our trip. The bouts are short so the pace doesn’t flag, the atmosphere surprisingly lively and the rituals fascinating. And we got to see one match that was clearly a bit of an upset! We also saw some of the wrestlers before and after, as people lined the pavement outside like a red carpet to watch them come and go. What a way to end our last full day. This is a food I remember fondly from childhood. I guess I always presumed it was a Chinese thing. We’d have it in this rather plain, watery, chicken type soup. (Yeah, not very exciting – the lotus was basically the only part I enjoyed.) In Japan, we were served lotus root at breakfast, and alongside sushi one night. And the courtesy signs/warnings on public transport, incessant. No loud, obnoxious, inappropriate phone conversations on trains around here, thank you. 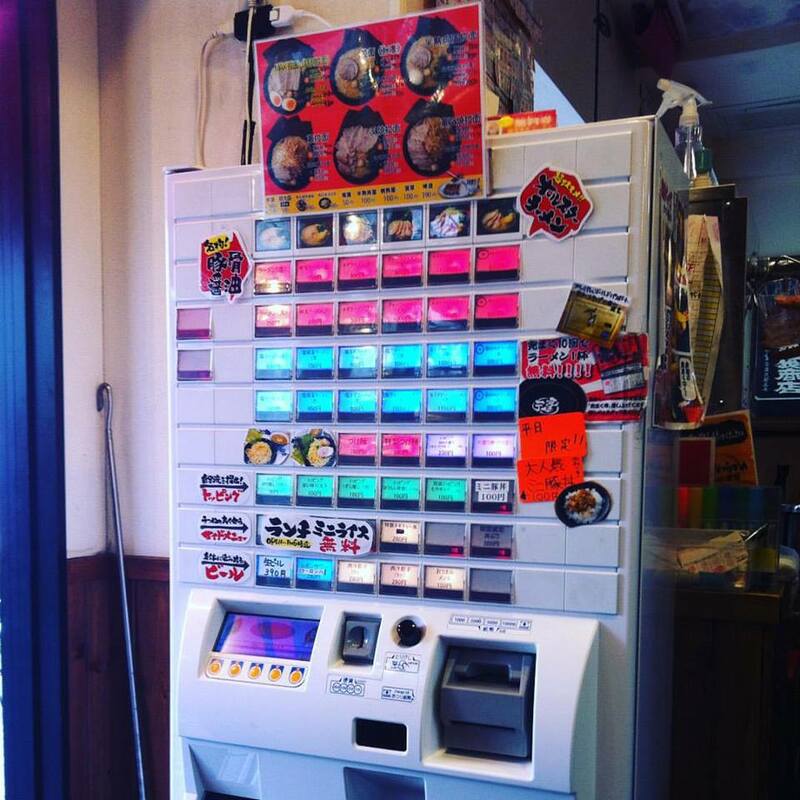 The only place that was remotely rowdy (bearing in mind we’re not drinkers and didn’t do anything remotely night-lifey, ha) was a little ramen restaurant we stumbled into – it was noisy in the way Gina’s Italian Kitchen in Auckland is. Particularly when it comes to roadworks/construction. The billboards I expected, but these little surprises were next level. 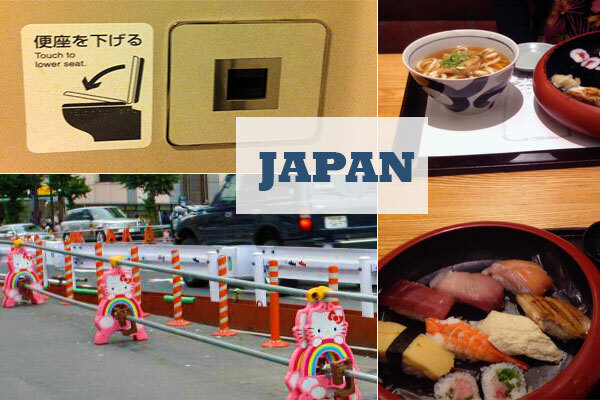 We ate well in Japan, and yet most meals clocked in about NZ$20 or sometimes less for both of us. That just wouldn’t happen at home. I was prepared for bidets. I was NOT prepared for heated seats and buttons in the wall you can push to lower the lid – so you don’t need to touch the toilet itself. GENIUS. I was a slobby heffalump in comparison. No surprise. So, it was pouring buckets when we arrived in Tokyo. The first things we bought at a 7-11 were two white umbrellas. It wasn’t long before we realised practically every building has an umbrella stand at the entrance. Heck, at our last hotel, there were secure slots for individual brollies, with a lock for each one. For example: specific diaper disposal and diaper change table in the bathrooms aboard trains. Stroller service at the sumo stadium. High chair attached to the wall in a public toilet, presumably so mum can have a moment to relieve herself. Just a few random thoughts. More of a debrief to come next week!